Each month Indigenous Goddess Gang will create a space for sharing medicine through poetry, food & seed knowledge, herbalism, music and more. This is a space for reclaiming knowledge from an indigenous femme lens. Each month we will honor a different tribe of matriarchs in our fashion shoots. Each month we will continue to grow and share the knowledge of our matriarchs and share that medicine. Dina Devore- Dina grew up in a family of traditional and contemporary potters, sculptors, jewelers and painters. Art was embedded in her soul at a very young age. She was raised in California as a 2nd generation daughter of the Indian Relocation Act of 1956. In 2008 she made her back to Jemez Pueblo. Dina is an accomplished senior freelance self taught makeup artist. She works with a select group of established photographers and designers in the southwest region. Her work has been featured in a number of editorial publications and highlights. In 2015 she started her native owned business "Boogie Bones" Art Dolls inspired by her three children and Pueblo culture. Her goal has been to make an indigenous doll that appealed to the imagination of a child while connecting them to culture and tradition. She is currently working with Albuquerque Non-profit Native American Professional Parent Resources Inc. to expand on the production of her fiber-works. Jade Begay, Diné and Tesuque, is a multimedia artist, digital storyteller, and media strategist. Jade has journeyed across the world to work with Indigenous Peoples and communities to amplify their voices and stories. Jade is a producer at Indigenous Rising Media and partners with groups like the Indigenous Environmental Network, Bioneers, AJ+, and Google to create media that educates the audiences on Indigenous Issues. Alana Bluebird- Alanna is a Blackfoot Dene writer, poet, and a performing artist who uses her creativity to empower youth. She is from Tsuut’ina Nation and expresses herself through poetry, photography, film & Quillwork. She has travelled to multiple countries and communities to share her spoken word poetry, and facilitates Native Wellness Institute workshops. Alanna gets inspiration for her poetry from her traditional and spiritual way of life. 2015 was the first time she shared her spoken word to the public. Since then she brought this talent to several diverse audiences. She received an award scholarship from the Alberta Foundation for the Arts where she was recognized as a “ 2017 Emerging Artist”. One highlight of this journey was when Alanna went to New Zealand and was apart of the “2016 Uplift Spoken Word Poetry Tour”. Recent projects that she is very proud of is a tour in southern Alberta of 50 elementary schools, with the theatre production, “We are all Treaty People”. A powerful 45 minute play that told the dynamic story of Treaty 7 people and its beginning. Alanna had the wonderful opportunity to work as Artistic Director for the Calgary Stampede Show Band 2017 production of “Mosaic”. She worked alongside with the Directors to create a production that addressed Indigenous peoples history in Canada. Alanna currently resides in New Mexico where she continues to create multifaceted art. Lakota Sioux- Cheyenne River Sioux Tribe, South Dakota. Sunny is a sexual abuse survivor/advocate, speaker, & writer. She uses writing & spoken word to teach, heal & educate people on the power of their stories. & most importantly empowerment. She promotes wellness through words & is founding a new project coming soon to empower survivors of abuse through writing. 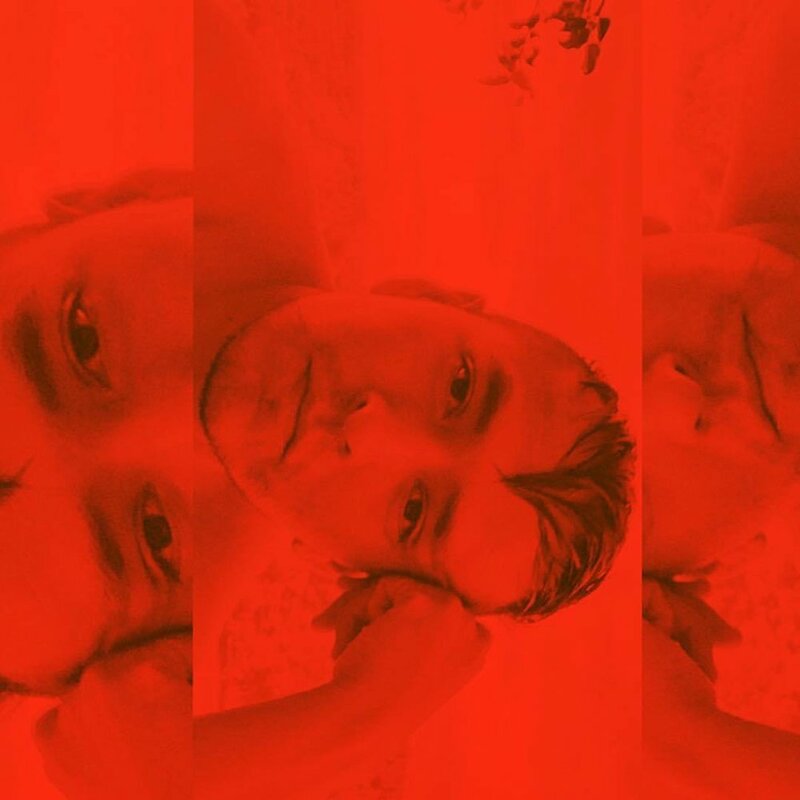 Demian DinéYazhi's artwork is materialized through the lens of curatorial inquiry, site-specific installation(s), poetic expression, social engagement, and art production. DinéYazhi' was raised in a matrilineal household and his maternal grandfather served in the U.S. Marine Corps as a Navajo Code Talker. Therefore, the undercurrents of DinéYazhi's work include a reverence toward traditional Diné practices, storytelling, traditional ceremonies, and acknowledging the criticality and sacredness of land, while simultaneously challenging contemporary archetypes of authenticity and jurisdiction. DinéYazhi' creates artwork that challenges hierarchal structures and re-utilizes conceptual art as a tool for truthtelling, sovereignty, uprising, and reclamation of language, culture, and self. Bianca is a 24 year old Huron-Wendat woman from Wendake, Quebec. She lives in the city of Hamilton, in Ontario, Canada with her fiancee, whom she is expecting a son with, due in April. Together they are working hard to learn both his Ojibway and her Huron-Wendat, culture, traditions and language so that they can teach their son the ways of his people and ancestors. Bianca is the founder of the website A Tribe Called Beauty. She created this website to help bring forth two of her biggest passions, which are natural beauty as well as supporting and encouraging Indigenous Women to feel confident, strong, beautiful, proud to be who they are, and to help them embrace their culture and traditions. She created a series on her website called Native Boss Babe to help Indigenous Women realize their full potential and start chasing their dreams no matter how big or small they may be. Her life is dedicated to helping Indigenous Women thrive and reach their goals, while living healthy, traditional lives. She’s extremely passionate about keeping our traditions and culture alive, by learning and teaching about them as much as possible. After changing her life around after many years of struggling with drug addiction, she’s working hard to help make a change to fight back against the stigma that surrounds our people. She’s determined to change the cycle that our people seem to be stuck in. She wouldn’t be where she is today if it wasn’t for her culture, and the medicines that the Creator and Mother Earth provide. She is now sharing the power of our medicines and traditions in hopes that anyone that is suffering will find healing in our traditional ways. Bianca can be reached through email, as well as either her personal instagram or the instagram for her website. Katarina Yazzie. Todichiini, Tabaaha, Tlogi, Taneezahnii. I'm from Da'a'k'ehalani. I'm a 20 year old Electrician who decided to quit her job and chase my dreams. As a high schooler my mother pushed me to enroll in college. Therefore, I attended high school and college at the same time in Phoenix, Az. I give my father credit for all my brains. I didn't live a "normal" high school life. I don't have many friends and I use my camera as a midway between people and I. I also turned to social media to make and meet new people. I never had an interest in photography until I was out of high school. I had loved music and playing music. Piano, Native American Flute, and Guitar were my main interests. I have a strong will to travel. I realized my love for being wild at the crisp age of 18. I had a 2014 Jeep Wrangler that I loaded all my belonging with. I hit the road all alone with ambition and the will to learn as many things I could from as many people as I could. My first stop was in Orla Texas. Being with out my parents and sisters was definitely hard but I managed. I lived in Texas for almost two years, coming home to the rez occasionally. There I bought my first camera. My hobby as a photographer started there. At the time I was working as a full time Electrician at Natural Gas power plants and coal mines. I then high tailed it to California. In California I met tons of new people that convinced me quit my job and follow my photog dreams. I left my gypsy trail and came home August of 2016. I then decided to started my blog. I give all the credit for photography style and blog to my family. If they didn't live the cowboy lifestyle I wouldn't have anything to photograph. My blog is all about good photos and "creative natives" as I like to call them. I am very passionate about my Dine culture. Our Navajo language is VERY VERY precious! I occasionally do Navajo words of the day on my Snapchat to help other natives learn simple words and phrases. I support as many Native American artist as I can through my blog. I didn't think I would be nearly as successful as I am today. I owe it all to my followers. Throughout the past year I've had the opportunity to work many wonderful companies. Being hired by companies I never thought would ever give me a chance really boosted my confidence. All in all I think my story is very relate-able. I'm so glad I decided to take this huge risk with my career. I personally think that my story will help any other aspiring photographers who aren't too sure about what to do with their lives. My struggles are what made me the business woman I am today. Born in Inglewood, CA in 1977, Cara was raised on the Chemehuevi Valley Indian reservation along the California shoreline of Havasu Lake in the heart of the Mojave Desert. Cara currently lives and works in Santa Fe, New Mexico and is married to Cochiti potter Diego Romero. Cara’s work reflects her diverse training in film, digital, fine art, journalism, editorial portraiture and commercial photography. She shows at both the Santa Fe Indian Market and the Heard Museum Indian Market. She has won several awards including ribbons at both major markets and the “Visions for the Future “ award from the Native American Rights Fund. Cara uses her photography to broaden perceptions and introduce ideas outside of the mainstream perception of indigenous art. Through her photography Cara captures beautifully composed stories layered with symbolism that can evoke emotion from anyone of any background. Leah Rose, Eagle Clan, Keweenaw Bay Ojibwa Anishinaabekwe. Leah has spent the past several years living nomadically, retracing her roots and reconnecting with her family and tribe. She shares her visions of sacred landscapes, portraits, stories, and ceremony through her camera lens. Due to the boarding school system, Leah's mother was separated from her parents, and this journey has been healing of multi-generational trauma. Leah currently resides in New Mexico, where she has an apprenticeship under photographer Cara Romero. 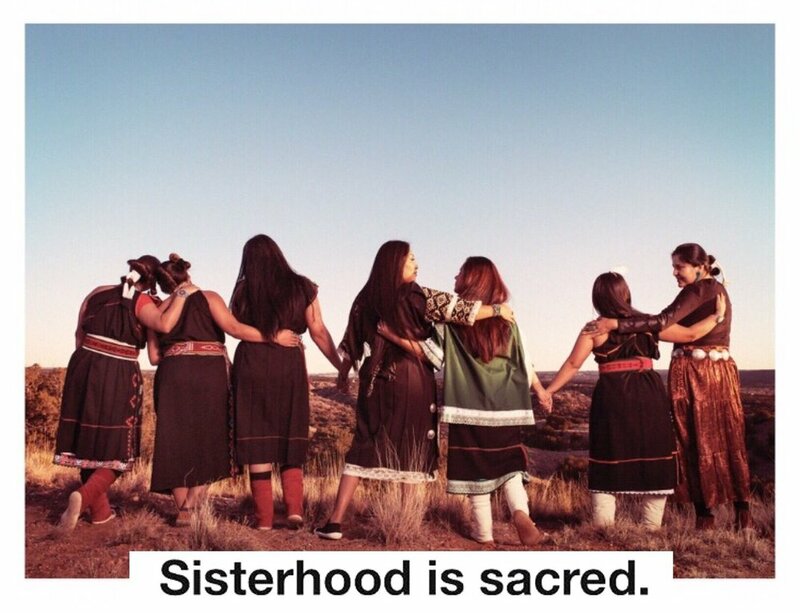 Leah strives to bring awareness to issues in Indian country as well as empowering Indigenous women through her photography. My name is Talavai Lakai Denipah-Cook (pronounced də-ˈləv-ˈī) and I come from tribes of Ohkay Owingeh Pueblo, Hopi, and Diné. I am a graduate of Fort Lewis College, class of 2016 with a Bachelor of Science degree in Environmental and Organismic Biology. I currently work at Santa Clara Pueblo Forestry Department as the Reserved Treaty Rights Lands Program Coordinator to co-manage projects in assistance of preventing encroachment of fires, diseases, floods, and other threats coming off of United States Forest Service (USFS), National Park Service (NPS), Bureau Land Management (BLM), and other State/Private landowners which are adjacent to the reservation boundary. I am also an artist who practices dancing (Traditional and Contemporary), singing, painting, jewelry, and am learning more along my life journey. My hobbies consist of outdoor adventuring, hiking (backpacking), rafting, rock climbing, traveling, planting, and anything that involves with food and laughter. Alexis Wade-I’m from the Pueblo of Laguna. My clans are Big Parrot & Little Sun. I’m currently in my fifth year at NMSU majoring in Microbiology. When I graduate I plan to work with forensics in a forensic lab. My name is Kaylynn Begay. I live in Many Farms, az. My husbands name is Denton Begay and we have 2 beautiful little boys. I love doing makeup and i am a self taught makeup artist. I also went to school for fashion/modeling/acting at John Casa Blanca Model and Career and recieved my certificate. I have done makeup from prom to weddings and down to photo shoots. I don't have every little thing known big to the makeup industry but i do what i can with what i have and i know in my heart i will get..somewhere with it. Makeup is not something to make myself feel better about myself but a way of self expresion and beautiful art. Every person is beautiful in their own way and i encourage anyone that loves makeup to keep practicing and you'll imprive day by day . Thank you for this opportunity to show my skills. Facebook is Kay Begay and instagram is @kay.begay. These are ways to get ahold of me. Marquel Musgrave (Thamu Tsan), former Tribal Council Secretary from Nanbé Owingeh (Nambe Pueblo) has BA in Business Administration. She has a background in journalism, grant writing and grant administration. Currently, she works in experiential education and adventure therapy with the Santa Fe Mountain Center under the Native American Emergence Program focusing on resilience building and decolonization serving the indigenous communities of New Mexico. Marquel is passionate about cultural and language preservation. She is a member of the Tewa Language Committee in Nanbé Owingeh with the intent of increasing language acquisition tools for youth. Marquel is a mother to four year old daughter Kai, a Pueblo Hoop Dancer with the Lightning Boy Foundation. Jazmin Arquero-As a Pueblo woman from Zuni Pueblo as well as Cochiti Pueblo I feel I’m twice as empowered with the diversity of each Pueblo I am a part of. Growing up my mother often took us to visit Zuni. I grew up developing a close relationship with my great grandparents who fluently spoke the Zuni language. Spending time watching kachina dances and participating in the preparation of bread baking and cooking. I saw first hand how the the uniqueness of the Zuni Pueblo’s language and cultural practices differed with the language and cultural practices within Cochiti Pueblo. Which also led me to see similarities between the two pueblos. The importance of retaining our language, cultural practices and the most important, respect for elders and their role within the family as well as community. Through generations of hardships and resilience we’ve survived and thrived. I am able to carry on the traditional values instilled within me and I am proud to be able to participate in cultural activities that show me that through all the hardships previous generations endured, with their resistance, I’m able to be a part of my own history and evolvement. My clan is Tl’aashchi’I, Red Bottom clan, born for Tachii’nii, Red Running into the Water clan. Hashk’aa hadzohi, Yucca fruit-strung-out-in-a line clan, and Naasht’ezhi dine’e, Zuni clan. Growing up on and off the Navajo reservation near Farmington, New Mexico our traditional healing practices have always been apart of my life. I attribute my accomplishments to the many prayers and ceremonies done on my behalf as I was growing into the asdzání I am today. My work as a midwife is to support women through their transformation through puberty, motherhood, and beyond while applying and integrating traditional knowledge. Ooljéé Bideezhíké or little sisters of the moon is a collective of mindful moon bleeders. We appreciate all sacred cycles of our bodies and land. It is important to us to practice self healing. When we heal our wombs we heal the land. We believe in the restoration of sacred anatomy to creat our sacred self. It has been a mission to bring awareness to alternative reusable mynstrual products. The goal is to honor our sacred cycles and start loving our moontime. Kim Smith- hails from the Diné Nation in the southwestern part of the U.S. She has dedicated her life to fighting for indigenous human rights, water & land at a local, national and international level. In her Diné community her work includes advocacy work in environmental justice, food sovereignty, art & indigenous based knowledge. When she is not home Kim curates a national traveling exhibition called, “The Art of Indigenous Resistance” which highlights graffiti and indigenous art as a platform to raise awareness about indigenous resistance. Kim also travels to indigenous resistance communities around the world to reconnect intertribal relationships and build solidarity. This year alone Kim has helped raise over $20,000 for the frontline communities she has visited. Kim is the founder for the online collective indigenous feminist magazine, "Indigenous Goddess Gang". Kim works along side Winona Laduke as a board member for Honor the Earth & Diné Citizens Against Ruining our Environment, she is considered an expert on Climate Change for the United Nations and is a registered International Front line Defender.